This is the Users Manual for the XenaChassisUpgrader application. The XenaChassisUpgrader is used to update your Xena testers with the latest firmware. It will be automatically launched by the Xena software installer but you can also launch it manually at a later stage. After installation it can be found in the same folder as the other Xena software tools. XenaChassisUpgrader is only available in Xena Software Release 57 and newer. For older releases please refer to the legacy quick start guide. This short guide will help you get started using the XenaChassisUpgrader. Press the Add Chassis button located to the left in the toolbar at the top of the application. Fill in the IP address or hostname of the chassis, optionally change the portnumber, enter the password and click OK button. The Defined Test Chassis panel in the upper left corner will now show the new chassis. No detailed data will be shown however as the application has not yet been synchronized with the chassis itself. Once you have added the chassis you should select the checkbox in the Use? column and press the Synchronize Chassis Information button in the toolbar. This will connect to the defined chassis and read information about its current firmware versions, available testmodules, etc. This information will be shown in the middle Available Upgrades panel. In the Available Upgrades panel you can now select what parts of the chassis you want to upgrade. Please Note: In almost all situations you will want to upgrade both chassis and all test modules to the latest firmware versions but it is possible to only upgrade certain parts of the chassis. This is however not the recommended way and that it may cause the chassis to malfunction. You should only do this if you have been instructed to do so by Xena support. Once you have made your selection press the Upgrade Selected Items button. The upgrade process will now initiate and will inform you when it is complete and if you need to perform additional steps w.r.t rebooting the chassis. XenaChassisUpgrader is installed as part of a Xena Software release and is tied to that release. It is thus not possible for the XenaChassisUpgrader to install a different release than the one it has been installed as part of. XenaChassisUpgrader will display information about the installed release in the panel located in the lower right corner. XenaChassisUpgrader can be used to upgrade multiple chassis both in in parallel and individually. Chassis definitions can be added to and removed from the application. Added chassis definitions will be remembered the next time the application is started. A chassis definition consist of the chassis display label, IP address, port number and password. Once you have added the necessary chassis definitions you can click the Synchronize Chassis Information button in the toolbar. This will connect to all selected chassis and read relevant information such as the firmware state, serial number, etc. Name: The name and type label for the entity (chassis or test module). Model: Model of hardware (product number incl. version). FW Version: Chassis or module firmware version number. Sel: Checkbox selector for including the entity in the upgrade process. Available Upgrades: Displays an overview of any available upgrades for the item. Upgrade Progress: Displays the upgrade progress fir the item when the upgrade process is started. When you select a chassis for upgrade the XenaChassisUpgrader will automatically select those test modules on the chassis which has an older firmware than the version currently used by the individual test module. You can however manually select or deselect test modules if you have reason to do so. Please note: As stated above it is highly recommended that a chassis is upgraded to a new software release in full, i.e. that the server firmware version and all test module firmware versions matches the versions included in the release without exceptions. Failure to do so may lead to unpredictable behavior for test modules which resulting firmware version differs from the release version. Manually deselecting one or more modules that was otherwise eligible for an upgrade is thus generally not recommended. Once you have selected the chassis resources you want to upgrade you can start the upgrade process by clicking the Upgrade Selected Chassis button in the toolbar. The progress of the upgrade can be monitored in the status panel in the lower part of the application. The overall status messages is shown in the box marked Upgrade Status whereas the progress for each individual chassis is shown in separate tabs in the box marked Individual Chassis Progress. The progress for each individual entity is also shown in the Available Upgrades panel. In general a chassis upgrade consist of a firmware upload phase and a chassis reboot phase. The process for a chassis firmware-only upgrade is slightly different from when you also upgrade test modules. When you are only upgrading the main chassis firmware the chassis will reboot automatically at the end of the upload. The chassis will be able to come back online without any manual user interaction. When upgrading one or more test modules the chassis will require manual interaction in order to complete the reboot. Initiate the upgrade progress in XenaChassisUpgrader. Wait for the XenaChassisUpgrader to prompt you to power-cycle the chassis. Remove power from the chassis completely – then wait at least 10 seconds – and plug in power again. Wait until the XenaChassisUpgrader informs you that the chassis is back online. Note: It is extremely important that you leave the chassis completely unplugged for at least 10 seconds as the internal capacity of the power supply may keep the chassis and the testmodules alive for several seconds after you unplug the power. If you fail to complete this phase the chassis may still use the old firmware for one or more test modules. XenaChassisUpgrader will evaluate the state of both the software and hardware maintenance license for all test modules on the chassis. It will only allow a chassis to be upgraded if all test modules in the chassis has a valid software maintenance license. SerialNo: The serial number for the entity. SW Maint: Show your current software maintenance state for the current entity. This is currently only applicable for test modules and is not relevant for test chassis. SW Days Left: Show the remaining days of your software maintenance for the current entity. HW Warr: Show your current hardware warranty state for the current entity. HW Days Left: Show the remaining days of your hardware warranty for the current entity. The complexity of this table reflects the fact that a new Xena software release can be launched when the software and hardware installed on your test equipment is still valid, but may have expired by the time you try installing it. 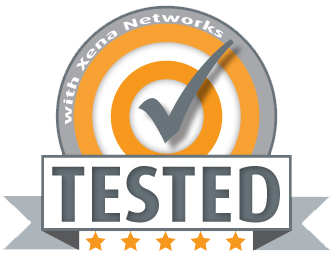 If the software maintenance license for one or more of your test modules has expired please contact your local sales representative or contact Xena Networks directly at [email protected]. You can generate an inventory report in Excel or CSV format as explained below. Attaching this report to the email may expedite the support case. You can read more information about the Xena Licensing System here. The XenaChassisUpgrader can create a full inventory report for all connected chassis and test modules. To create the report simply press the Create Inventory Report button in the toolbar and select where to save the report. The report will be formatted as a CSV file and will contain the same information as the central grid-view in the application itself. Note that you will have to perform the Synchronize Chassis Information operation before you can create the inventory report. If you have renewed your software maintenance license for selected modules you will eventually receive an updated license file from Xena. To activate this new license file you should import it into the XenaChassisUpgrader before upgrading your chassis. Save the received license file to any location on your local PC where you can find it afterwards. Start the XenaChassisUpgrader, select the File -> Import License File menu item and navigate to the location where you saved the received license file. Select the file and click the Open button. You can now synchronize the chassis information as explained in the Quick Start Guide section above. Please check if the modules with a renewed license are marked as valid for upgrade before proceeding.